Virtual reality (VR) training has many advantages over other technology-based stroke rehabilitation strategies. VR allows tasks that focus on a particular skill without the need for additional sensors or equipment specific to the task. In addition, positive feedback and incremental increases in task difficulty, once provided by the therapist, can be achieved with VR simply by turning the task into a computer game. Despite these many advantages, few have conducted rigorous studies of VR in a rehabilitation setting. In this article, McEwan and colleagues describe one of the first truly randomized-controlled trials of VR training in stroke patients, showing modest improvements in lower extremity function. 59 stroke patients in an inpatient rehabilitation unit were randomized to 10-12 sessions of standard therapy + VR while standing (soccer goaltending and snowboarding tasks) vs. standard therapy + VR while sitting (games did not require weight shifting). The investigators tested lower extremity function before, immediately after, and at one month post-VR training. Subjects in both groups experienced clinically significant improvement post-training. More subjects in the standing VR training group showed improvement on the Chedoke McMaster Leg Domain both immediately after (P = 0.04) and 1 month (P = 0.02) post-training. The results of this study, while positive, do not support unbridled enthusiasm for VR-training post-stroke. Although statistically significant, the difference between groups on lower extremity testing was unlikely to be clinically meaningful and seemed to disappear 1 month post-training on 2/3 outcome measures. In addition, these results were obtained in a per-protocol instead of an intention-to-treat analysis. Further studies of VR training for stroke rehabilitation are warranted. In my mind the VR tasks in this study focused on balance while the outcome measures primarily assessed walking ability. While I do not deny that walking ability is more important than balance, perhaps a better match between tasks and outcome measures would improve results in future trials. The authors are to be commended for adding scientific rigor to the study of VR training post-stroke. It remains unclear whether VR training will emerge as an important rehabilitation tool – these results suggest cautious optimism moving forward. Simpson et. al. did an elegant analysis of the costs associated with care in the IMS-3 patients. This study was designed to evaluate the difference in outcomes of patients who received iv tpa versus those who received iv tpa + endovascular therapy (thrombectomy and/or IA tpa). The study was ended early during a scheduled DSMB interim analysis which revealed that the outcomes crossed a futility boundary and that further enrollment of patients would be unlikely to demonstrate benefit from the endovascular approach. This analysis looked specifically at the cost of care (measured by charges recorded and adjusted to CMS 2012 cost of medical services) for the initial hospitalization. About a $10,000 increase in cost was found in the endovascularly treated patients. Differences in procedural management (general anesthesia being a major upward driver in cost) as well as innate differences in the subjects (severity of stroke by NIHSS, age, diabetes as comorbidity) also affected cost of the initial hospitalization. In addition, consistent with prior studies, earlier iv tpa delivery led to lower cost, due to decreased length of stay. -as clinicians-there are some things we cannot change: stroke severity, age of the patient, comorbidities, possibly the time of arrival of the patient to treatment facility. 2. How can we make changes in the procedures (intubation vs. alternate sedation) do safely provide high quality care at lower cost? They did not look at choice of devices in this study, but casual conversations with device company representatives suggest there is a large range of costs associated with device choice. I think as we move forward in a value based healthcare world, more scrutiny will be placed on the way we deliver care to our patients. While IMS-3 did not meet their primary outcome to demonstrate long term efficacy and benefit for endovascular therapy, this analysis does answer some questions about how care is being delivered and how it can impact the cost of care delivery. In this article, Marsh et al. attempt to answer the question of why some patients differentially have hemorrhagic versus ischemic stroke, when hypertension is the predominant risk factor identified in both cases. They reviewed all patients presenting to a single center with stroke, for presence of either lacunar stroke of hemorrhagic stroke. All patients had a history of hypertension, and medical histories were reviewed for presence for laboratory values and imaging was reviewed to rate white matter hyperintensities and degree of microhemorrhages on MRI sequences. The authors found in their analysis, that patients who presented with hemorrhagic stroke had increased odds of micro bleeds on MRI. In contrast patients with lacunar stroke had increased odds of severe white matter hyperintensities. In addition, elevated AST and ESR increased the odds of hemorrhagic stroke. The authors suggest that these findings demonstrate that the underlying subclinical pathology predicts the clinical presentation. 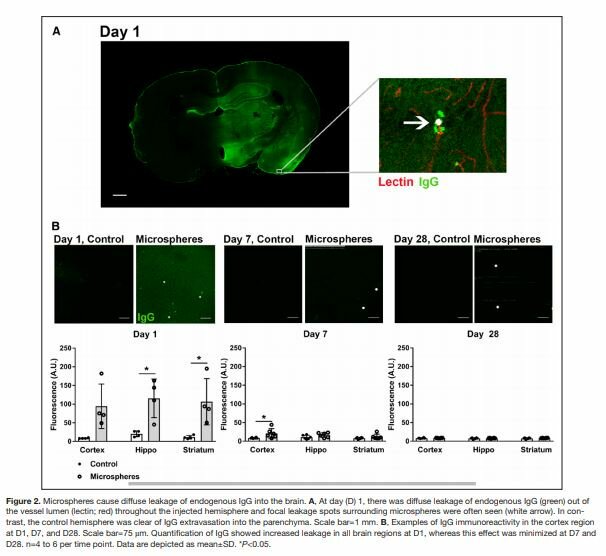 They also suggest that the elevated ESR may suggest a role for inflammation in blood brain barrier permeability, which causes a “leaky” endothelium, which may be causal in microhemorrhage development. This work is important because it emphasizes that there is a complex interaction, greater than an individual’s risk factors, such as hypertension, that predict the clinical phenotype (i.e. hemorrhage vs. infarction). Future research can focus on biomarkers that are different in patients with hemorrhages and lacunar stroke, both of which affect small vessels. Understanding the pathophysiology may lead to greater understanding of the gene-environment interaction that is likely present to predispose an individual to a particular disease endpoint. The ongoing debate of why intra-arterial (IA) thrombectomy for ischemic stroke, after showing benefit in multiple single-arm studies, demonstrated no benefit and potential harm in three randomized trials in 2013 has focused on a number of variables, but the most important is clearly time. Successfully triaging a stroke patient to IA and assemlbing all the health care personnel is a monumental effort and, as we know, time is brain. However, all processes can be streamlined and inefficiencies removed, which also applies to IA therapy, especially considering that the amount of time needed to administer IV tPA ranges from 30 to 60 minutes depending on what country you have your stroke in. This data confirms and quantifies several longstanding assumptions about why IA treatment can be delayed. The time required to administer IV tPA can be reduced, but tPA should not be excluded, given that it is the most effective approved treatment for acute ischemic stroke. The same cannot be said for MRI, which does not have tangible clinical benefit at this point, and general anesthesia should be avoided if possible because of adverse effects on both time and brain perfusion after systemic hypotension. These are all worthwhile targets to improve, but the question remains: when will we have a larger, randomized controlled trial (RCT) evaluating the Solitaire device, which appears so promising in these single-arm studies, quite like the MERCI and Peumbra devices did before they were tested in RCTs last year. While data has been mixed, perfusion imaging has been an enticing modality for some time now to help triage patients for treatment during acute ischemic strokes (AIS). CT perfusion (CTP) is often done in the acute setting due to time constraints, but in some institutions MR perfusion (MRP) may be done in follow-up imaging to minimize radiation exposure. In this study, authors Longting et al. compared CTP and MRP in AIS to assess for how interchangeable these modalities are. This was a three-part study comparing CTP and MRP after AIS. In steps 1 and 2 (n=45 and 15 respectively), data was obtained from patients that had CTP and MRP within 2 hours of each other, both within 9 hrs of AIS, and was meant to derive the perfusion map with least difference between CTP and MRP. In step 3 (n=45), CTP was performed within 9 hrs of AIS with a follow-up MRP done 24-48 hrs later, and was meant to assess 3 months outcomes based on reperfusion rates. Authors found that among 8 perfusion maps (CBV, CBF, et) only time-to-peak (labeled Tmax) had a non-significant difference in delineating perfusion defects, with the best concordance at 6 seconds. Even between modalities, increased reperfusion predicted improved outcomes, with authors noting that with each 1% increase in reperfusion, the odds of good clinical outcome (mRS of 2 or less) increasing by 1.1 (p<0.05). What to do with this data? This study could be helpful in research settings where MR Perfusion may be a more tenable follow-up to CTP if re-perfusion rates are being assessed. While CTP is still commonly used in our setting, it is with the knowledge that studies like MR RESCUE have managed to throw some doubt on the importance of a perfusion mismatch in triaging to intervention. As we continue to search for ideal patients for interventions, studies such as this one could help detect and fine-tune when, where and what role perfusion imaging has in acute stroke management. Does stroke = statin for all? True or false; stroke = statin? Current AHA guidelines support statin therapy for secondary stroke prevention presumed related to atherosclerosis. It is technically not recommended for cardioembolic stroke. The seminal secondary stroke prevention and statin trial, SPARCL, excluded pateints with cardioembolic stroke risk factors, like afib and valvular heart disease. Other observational studies have shown benefit with survival and stroke recurrence when statin prescribed to all-comers no matter the etiology. This Korean study retrospectively looked at stroke recurrence and death rates at ~22 months after first-time cardioembolic stroke patients vs. non-cardioembolic (clinical, unclear if cryptogenic patients excluded) were started on no statin, high or low dose statin. About 20% patients were lost to follow up or died. The results were that cardio-embolic (primarily AF) stroke patients started on statins independent of dose had lower rates of mortality compared to those not on a statin. However, stroke recurrence rates were unchanged. So, statins = survival? Interestingly, the effect of statins on mortality was independent of CAD risk factors, and those patients with vascular risk factors who had lower LDLs without statin therapy did not have better mortality. The authors posit that statins may be reducing mortality by another mechanism beyond lipid lowering effects. This may result in statin benefit to strokes from more than just atherosclerotic etiologies. In this report, Monteith and colleagues studied the link between migraine and subclinical strokes among subjects of the Northern Manhattan Study with a self-reported history of migraine. Subclinical brain infarction (SBI) and white matter hyperintensity volumes (WMHV) were quantified from the MRI sub-study. 546 subjects had both migraine and MRI data. The authors found that subjects who reported migraine had double the odds of having SBI after adjusting for vascular risk factors, compared to those who didn’t report migraine. There was no association between migraine and WMHV. Other interesting results included a significant association of SBI in patients with migraine without aura, and in older individuals. The observation of migraine and stroke has been around for many years, even back to the 19th century when Charcot described a case of “complicated migraine”. We now have accumulating evidence that migraine with aura is a risk factor for ischemic stroke, especially in younger individuals. The spectrum of association between these two common neurovascular problems seems to be a continuum ranging from migraine-induced stroke to migraine-related stroke. Multiple pathophysiological mechanisms have been suggested. While intense vasoconstriction may produce migrainous infarction; endothelial dysfunction causing a vasculopathy, unfavorable vascular risk factor profile, increased frequency of PFO’s or use of ergots/triptans in migraineurs may explain stroke occurring temporally remote from a migraine attack. Women are 4 times more likely to have migraines than men. The association between migraine aura and ischemic stroke is higher in women, and the risk further increases with OCPs and cigarette smoking. The 2014 guidelines for prevention of stroke in women recommend that treatment to reduce migraine frequency is reasonable, and strongly recommend smoking cessation in women with migraine with aura. Although the absolute risk of migraine-associated stroke is relatively low, little was known about SBI. This raises the question whether more aggressive risk factor modification should be pursued in migraineurs with SBI. Cerebral Cavernous Malformations (CCM) in Ischemic Stroke Patients, to tPA or not to tPA? To assess the impact of tPA on cerebral cavernous malformations (CCM), Erdur et al. retrospectively assessed the frequency of CCM in 967 consecutive stroke patients who were treated with iv tPA. The study endpoint included symptomatic or parenchymal intracerebral hemorrhage (SICH and PH). In their analysis, they only included the 350 patients who obtained a brain MRI prior to receiving tPA. They revealed that the frequency of coexistent CCM in their population to be 2.6%. The data demonstrated a non-significant trend towards both SICH (11.1% vs 3.2%) and PH (22.2 vs 7.9%), when comparing CCM to non-CCM tPA patients. This study is an eye opener. The current tPA guidelines do not include CCM as an exclusion criteria. This study however showed a non-significant trend towards bleeding complication. Albeit it, the bleeding complication occurred in 2 out of 9 CCM patients, one of which bled into an actively bleeding CCM, and the other developed hemorrhagic conversion nearby a dormant CCM. However, on careful review of the paper, 11 other patients with CCM were identified on post-tPA. They did not have bleeding complications. They were excluded because CCM were identified on MRI post-tPA. In this group the CMM were not involved in driving the decision to give tPA. I argue that this group should have been the test population because they were not subject to selection bias by conservative physicians who are otherwise deterred by presence of CCM. Irrespective of my opinion, should these 11 patients be included in the final calculations, the frequency of SICH and PH would be 1/20 (5%) and 2/20 (10%), respectively. This bleeding rate would be similar to the non-CCM group, making CCM a trivial variable in tPA decision making. I am confident that this study will drive other large medical centers to publish their own CCM experience, and a subsequent meta-analysis will ultimately direct our management and future guidelines. In the meantime, would you tPA a patient with a known CCM? I would have to say, it depends! Sleep duration and stroke mortality in Chinese adults…the Goldilocks phenomenon? In their paper, Pan et. al. take a close look at the association between sleep duration and stroke mortality in Chinese adults. They’re interested in this topic for several reasons: short and long sleep durations have been associated with an increased risk of coronary heart disease mortality among Singaporean Chinese; the association between sleep and stroke has not been studied in the Chinese population; data are not consistent regarding the association between long and short sleep durations and the risk of stroke. They used data from the Singapore Chinese Health Study which enrolled patients aged 45-74 years between 1993-1998. Data points gathered included smoking status, exercise habits, diabetes, hypertension, cardiac disease, and average nightly sleep duration. Deaths were identified through their Singapore Registry of Births and Deaths almost through the entirety of 2011. They found that sleeping too much or too little (≤ 5 hours or ≥ 9 hours) was associated with an increased risk of stroke mortality as compared to their reference point of sleeping 7 hours/day. This association was observed only in ischemic or unspecified stroke and not with hemorrhagic stroke. A couple of thoughts: we don’t know the NIHSS of the strokes included in this study. Since the biggest predictor of stroke-related death is stroke severity, the NIHSS is a necessary part in understanding the suggested association between sleep duration and stroke mortality. The second biggest predictor of stroke-related death is age. Long and short durations of sleep were associated with an increased risk of stroke mortality but when the analysis was adjusted for age, the relationship was slightly attenuated. So, is sleep duration a residual confounding factor of stroke mortality? We can easily document and categorize age but it’s much harder to accurately do this for sleep duration. If we came up with a better, more exact way to classify sleep duration, perhaps the relationship that the authors found would disappear. Very interesting article although it’s very difficult to discuss issues surrounding stroke mortality without discussing the severity of the stroke. Intraparenchymal hemorrhage remote (PHr) from the area of focal ischemia is an uncommon complication of IV-TPA treatment. Rates of PHr were difficult to extract in prior stroke trials because they were often grouped together with rates of intraparenchymal hematoma (PH) – hemorrhage within the existing ischemic stroke bed. Herein Mazya and colleagues describe the first comprehensive study of PHr using data from a huge stroke registry. They show previously unknown risk factors for PHr and an intermediate prognosis for recovery. The authors performed a retrospective analysis of prospectively collected data from the SITS-International Stroke Thrombolysis Register (SITS-ISTR), which contains demographic and neuroimaging data from 43,494 patients treated with IV-TPA. They found rates of PHr, PH, and PHr + PH of 2.2%, 5.5%, and 1% respectively. A comparison of risk factors for PHr vs. PH showed that PHr patients were more likely to have remote prior infarct (OR 1.3), female gender (OR 1.23), and older age (OR 1.09). Mortality rates at 3 mo. were lower for those with PHr (33.9%) than for those with PH (39.2%) and PHr + PH (62.1%), but higher than for those with no intracranial bleeding (12.1%). This is by far the most comprehensive study of PHr to date. Although PHr is relatively uncommon (3.2% if one includes both PHr and PH + PHr), this underappreciated complication of IV-TPA increases morbidity and mortality and therefore warrants further study. The authors made huge strides in this regard, uncovering risk factors specific to PHr including remote prior infarct and female gender. 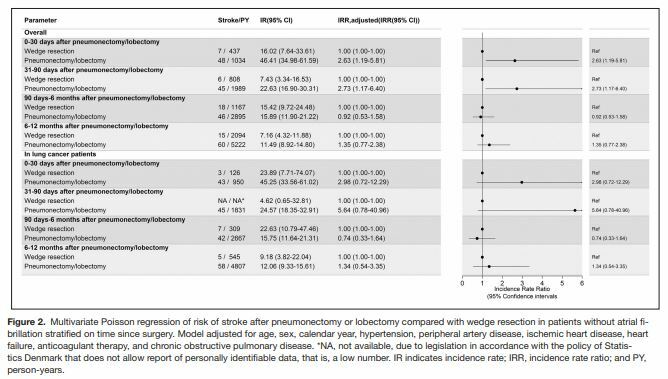 Despite these associations, the authors note relatively low odds ratios for each risk factor and suggest that another variable not collected in SITS-ISTR may be more important in predisposing patients to PHr. They suggest cerebral amyloid angiopathy (CAA) as a possibility given the association between CAA and female gender. I would offer another – prior head trauma. Even patients with mild concussion often show evidence of blood-brain-barrier disruption on acute MRI. Such disruption could make patients more susceptible to hemorrhagic conversion in the setting of future IV-TPA administration. Whatever the cause, this study definitely raises awareness of the importance of PHr and will prompt future investigations.